Sometimes you may just want to test for glucose or ketones in your cat's urine rather than take a blood sample. Keto-diastix test for glucose and ketones using the one urine sample. 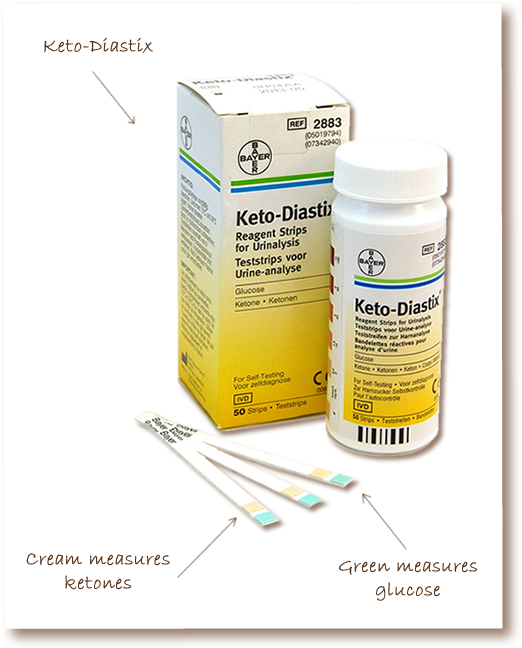 Keto-Diastix are reagent strips for urinalysis. These test strips can be used on humans and pets alike. They are the same strips that vets use to test the level of glucose in animals. 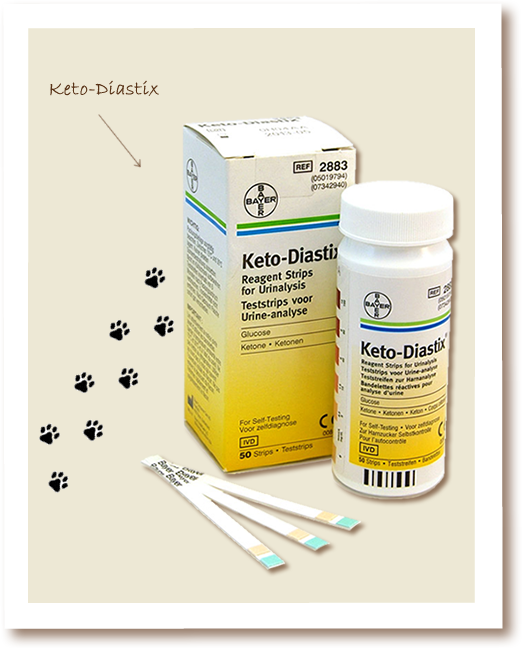 Use Keto-Diastix so that you will know the glucose levels in your cat's urine. Keto-Diastix come in containers of 50 strips.